This entry was posted on October 1, 2013 by Goplasticpallets. Goplasticpallets.com’s new premises may be just one building away from where its first office opened 12 years ago in Alder Close, but the company’s expanded team and significantly larger office space is a step up in the world for the independent pallet supplier. The new 3,200 sq ft Eastbourne office will be home to nine staff and adjacent to two warehouses, providing the central operating base for Goplasticpallets.com. The large open plan office space and upgraded facilities include additional meeting rooms and product display areas – ideal for showcasing the company’s products to visiting customers. 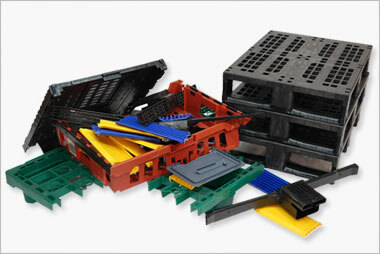 Goplasticpallets.com was established in 2001 as a division of All Pallets Ltd. 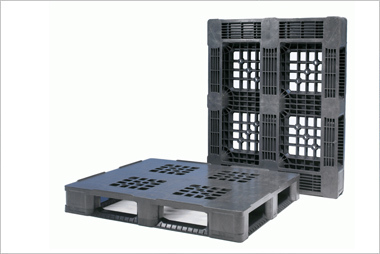 Since its inception, Goplasticpallets.com has fast become the UK’s leading independent supplier of plastic pallets and a leading force in the global market. 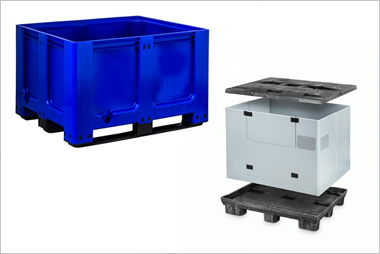 Twelve years on, it has established exclusive partnerships with a number of pallet and container manufacturers across Europe, allowing it to create a comprehensive and competitive product range. 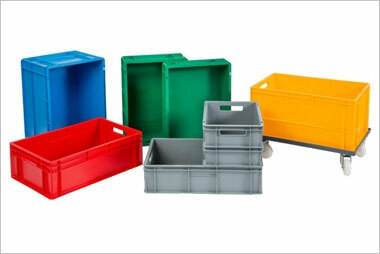 Goplasticpallets.com supplies businesses at the forefront of their industries with an extensive range of plastic pallets, containers, crates and trays. The company’s many clients, both large and small, include 26 of the FTSE 100 companies, in addition to SMEs spanning a diverse range of market sectors. Managing Director Jim Hardisty believes that the company’s competitive pricing, diverse product portfolio and top quality customer service are the reasons why sales are going from strength to strength. Jim commented: “We have achieved many great successes in the last year. 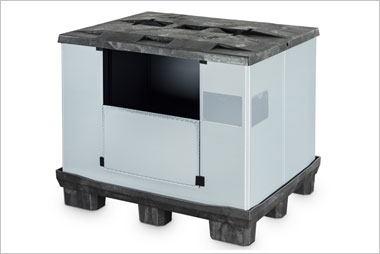 Not only have we extended our product range, which now totals more than 115 different plastic containers and 155 plastic pallets, we have taken on a second warehouse, which is currently housing 47,800 pallets and containers, so we can supply even more customers next day from stock and meet our ever increasing demand. Marc Howell joined the sales team in August this year. Marc has vast experience within the retail and hospitality industry, bringing his account management skills and the ability to develop strong, long-term customer relationships to Goplasticpallets.com. He enjoys the fast-paced and varied nature of the role, combined with the close knit and friendly atmosphere within the office. Jim added: “Marc will play a key role in helping our fast growing company accelerate its growth. Goplasticpallets.com is committed to supporting individuals in their roles and developing their skills with intensive training programmes and together moving towards the next project. “Eastbourne has been a great location for us to grow and expand our business. There is an exceptional pool of local talent.